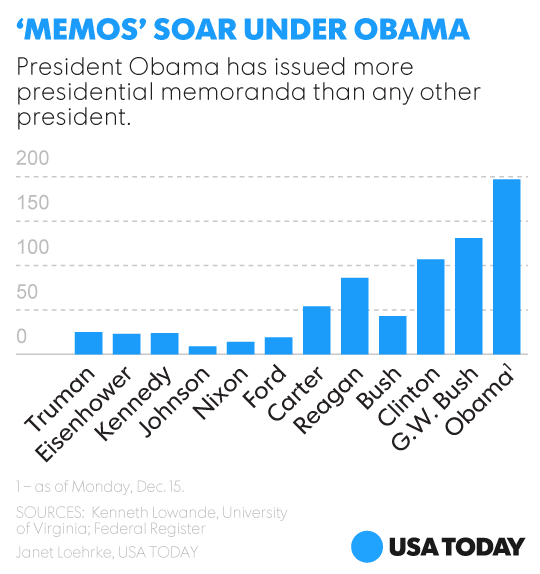 Liberal pundits love to claim Barack Obama hasn't issued any more EO's than other Presidents. That is technically true, although many of his EO's have been more significant in scope. EO's are the method Obama prefers for usurping the power of Congress. Obama prefers to just issue a meme. He hasn't actually issued an EO for his illegal immigration amnesty program. It's being implemented by memos.